Natural Capital Partners has developed and registered award-winning solar technology business, M-KOPA, as a Gold Standard project. M-KOPA empowers over 700,000 homes and small businesses in East Africa through one of the world’s most advanced pay-as-you-go platforms which combines solar power, mobile technology and micro-finance. Having previously been stuck in a rental economy, M-KOPA customers now have a path to ownership through an affordable, clean energy solution which connects lights, phone charging, fridges, radios and TVs. Subscribers choose a payment plan that suits them, starting at 50c per day and accessible for any home, to pay at any time, from any place with a mobile signal. Carbon finance is helping drive scale at the project as it connects more homes and businesses in East Africa. Natural Capital Partners is currently working on the first verification of emissions reductions from the project with credits available for sale later this year. “By understanding the specific needs and resources of these under-served communities, developing an innovative solution which is tailored to meet those needs, and using carbon finance to ensure the project can extend its impact for the long term, M-KOPA is a real example of how we can deliver on the Sustainable Development Goals,” said Christiaan Vrolijk, one of Natural Capital Partners’ project development specialists. 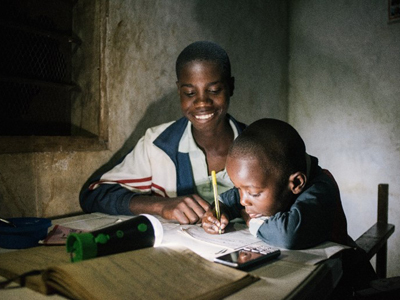 Nearly 600 million people in Sub-Saharan Africa lack access to electricity, which is critical to improving education, health, livelihoods and economic development. Around 70% of African households earn less than $5,000 a year and currently have to spend money on inefficient and expensive energy sources such as kerosene. Affordable, clean solutions like M-KOPA are an essential development in unlocking the potential of these communities.